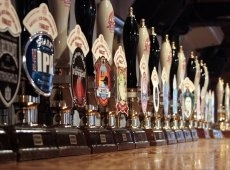 The Society of Independent Brewers (SIBA) is holding a £15,000 five-day celebration of the UK’s craft brewing industry in Nottingham next month. New competition Craft Beer in Keg will be launched, followed by the annual National Finals for cask and bottled beers and the SIBA Champions Beer Festival. “Our National Beer Competition has become a ‘must attend’ event for anyone interested in beer and brewing,” said chief executive Julian Grocock. “Each year, the number of people wanting to judge the competition, and of drinkers visiting the festival, has grown. The competitions will be held for the third time at the Canalhouse — a Castle Rock pub. The keg beer competition will be held on 8 February. Fifty beers will be entered in eight categories with the winners going through to the National Beer Competition. A Champion Keg Beer will be picked by a panel of 60 judges.